As a tribute to two of the most popular design, Trinity and Mondrian, York is one of the most classic additions to Soho Collection. York console fits a modern entrance hall and brings an elegant touch to any space decor. 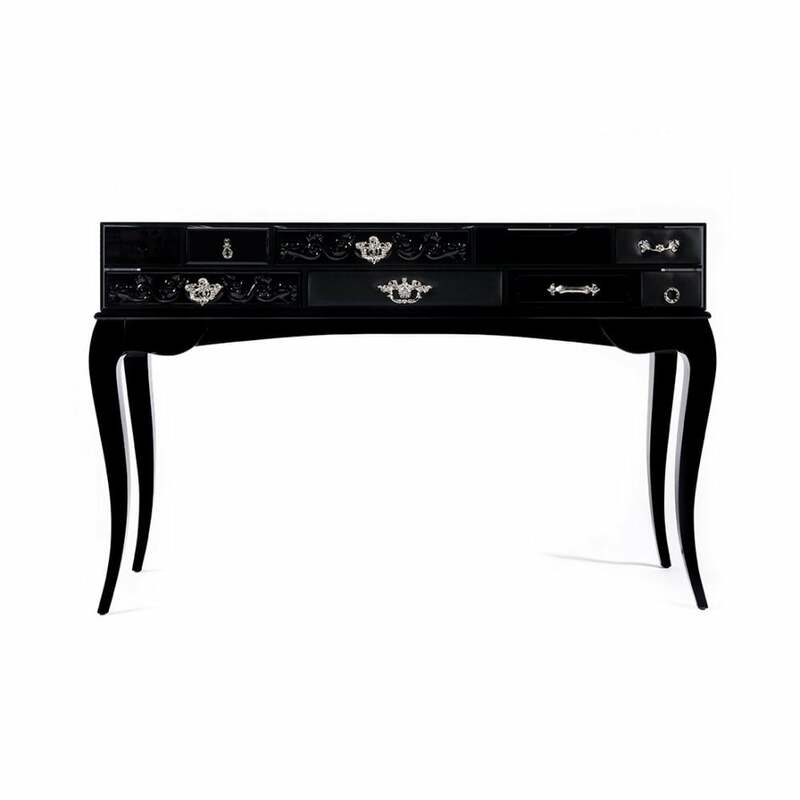 Created in a true Boca do Lobo style with a blend of classic and contemporary elements its sinuous wood legs support a glass box which encases a collection of leather, hand carved mahogany, mirror, and lacquered drawers with distinct handcrafted brass pulls in a chrome finish. PRODUCT OPTIONS Drawers: High gloss black lacquer and leather; or high gloss white lacquer and leather Legs: High gloss coloured lacquer in black or white Glass Box: Smoked or Clear Other colours and combinations available with an upcharge.